Sarah Palin’s Defamation Suit Against NYT Tossed: What is the Line Between Biased and Fake News? Sarah Palin’s defamation lawsuit against The New York Times has failed. U.S. District Judge Jed S. Rakoff dismissed Palin’s suit late August. Palin’s suit focused on an editorial the New York Times published shortly after a Congressional Baseball Shooting in mid-June. In its opinion column, the editorial board alleged that the 2011 shooting of Rep. Gabrielle Giffords and several others was connected to a map passed around by Palin’s political action committee in 2010. The map showed several electoral districts — including Giffords’ — under illustrated crosshairs. The newspaper issued a correction two days later, clarifying that “in fact, no such link was established.” Shortly after, Sarah Palin filed her suit, seeking damages for the alleged defamation. 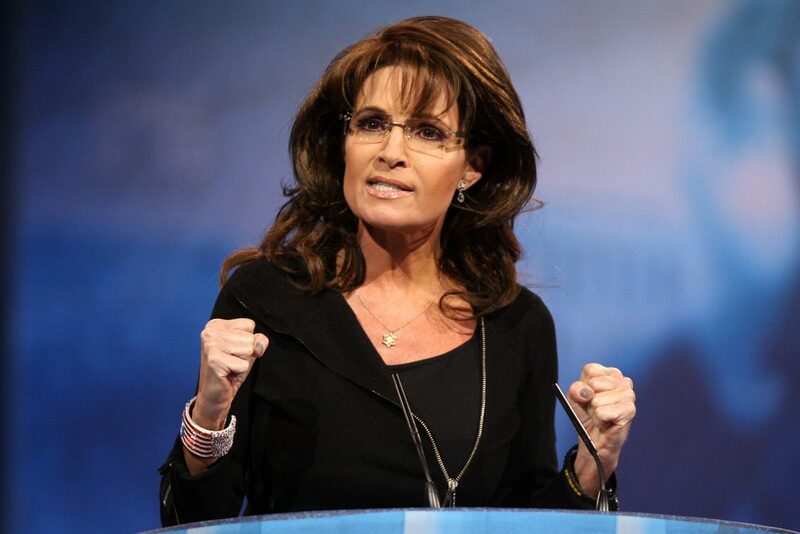 Judge Rakoff ruled that Palin’s legal team had failed to put forth plausible evidence of malice, a required element in a defamation suit by a public figure. Malice means that news outlets must knowingly publish false information or acted with reckless disregard for the truth towards public officials. Given the speed of events and the New York Times swift retraction after they discovered their error, it was very unlikely that the newspaper acted out of malice. Judge Rakoff’s ruling might also end threats of future suits by other prominent Republicans to sue “fake news” that print or publish unfavorable stories. The New York Times editorial linking Sarah Palin to the shooting of Representatives Gabrielle Giffors and Steve Scalise was poorly written, since it gave the impression that Palin’s campaign ads were an indirect causation of the Congress Persons’ injuries. The reaction by many Republicans was to cast New York Times as fake news. Although the editorial lead to conclusions that were outrageous, it should not implicate the newspaper as a whole since the editorial was quickly retracted and the rest of the newspaper maintains an investigative team that has often uncovered real information that is in the public interest. However, many people, including politicians in office, have confused biased news with fake news. Biased and fake news are not the same. Bias news means that the author has is writing or speaking in a manner that casts his or her “side” in a favorable light. The author is usually making an argument designed to advance some sort of agenda. However, just because the author is making an argument favorable to his or her objective, doesn’t mean that the facts the author is using are fake. In fact, it’s often to an author’s advantage to use facts that are proven true so that the listener or reader trusts the author. All lawyers write bias legal briefs to advance the interests of their clients. Of course, lawyer’s pleadings are expected to be factually accurate; if a lawyer is discovered lying to the court, there will be consequences. Fake news, on the other hand, is factually false and/or there is almost no evidence to support the claims. Fake news can be committed intentionally or unintentionally. If it’s the latter, it means the author made a mistake. If a child is taking a math test and answers “2+2” with “five,” the child is wrong, but he isn’t doing it intentionally. It might be reckless if the kid is just guessing what the answers are, but if he honestly believes two and two make five, then it isn’t reckless either. However, if the information is false and the author knows the information is false, then the author is intentionally spreading fake news. Defamation against a public figure is not just fake news or incorrect news, but intentional or reckless fake news. Defamation means that the author was spreading fake news intentionally or that the author was just widely speculating without regard to the truth, like the child randomly guessing on a math test. How Does This Work for Real Political/Legal Issues? Obamacare is the nickname for the Affordable Care Act passed in 2010. The Supreme Court overturned Obamacare’s individual mandate. Obamacare will raise premiums for some Americans. Obamacare will expand healthcare coverage for some Americans. Obamacare collapsed and was replaced by the Affordable Care Act. Obviously separating biased and fake news will not always be easy. However, if we can learn to better examine our public rhetoric, perhaps we will be able to overcome our present political divide. And hopefully, after that, we can avoid any more shootings over political differences. Media Ban: Can the White House Block Media Coverage?